Let us know if you’re coming! Call Spike at 248-0894 to reserve a spot! All for $100.00! CLICK HERE for Registration Form for P'nL Adult Tennis Program. Questions? 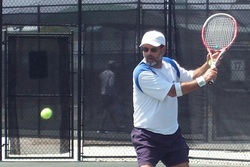 Call TennisDynamics Director, Spike Gonzales, at (239) 248-0894.